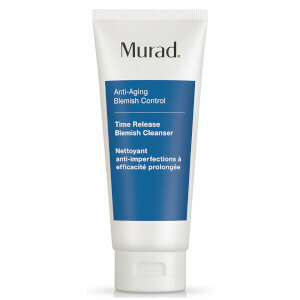 Prevent breakouts and reduce redness of skin with this Blemish Clearing Solution from Murad. Its powerful formula contains active ingredients, including salicylic acid and Queen of Meadow extract, to exfoliate and remove dead skin, whilst unblocking pores for healthier skin. The radiance-boosting serum is a blend of tea tree oil, which helps purify skin, and essential vitamins to soothe inflamed or irritated skin. E.N. Directions for use: Apply to clean skin and massage into face, neck and chest. 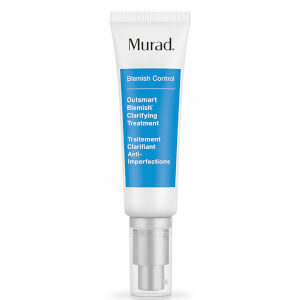 Used this when i had a breakout and found that it did help the blemishes to heal and prevented new ones from appearing. the only problem i had with the product is that it dried out a bit my sensitive skin so i used it once a day instead of twice. I cannot rave about this product enough. 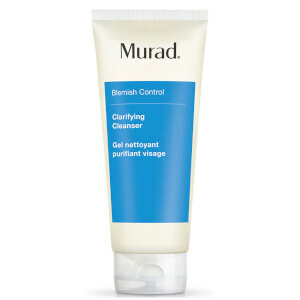 It is the step 2 treatment stage of Murad's skincare. This product is similar to a serum, feels so light and soothing once applied to the skin and you only need a tiny amount so it'll last ages. Usually with acne related products, these tend to dry out my skin and make it worse. 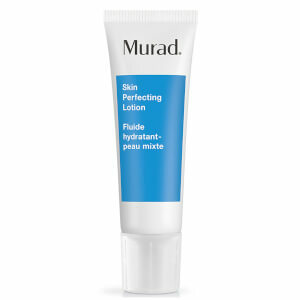 This does the complete opposite, I find this hydrates my skin well and sinks in really quick so you can follow with your moisturiser straight after ( I would recommend using alongside a Murad Step 3 Moisturiser ). I have been using this everyday for the past week as I have been breaking out as my eating hasn't been great (so self-inflicted), a very large, angry, painful, under the skin spot started forming on my forehead and with using this, the redness reduced dramatically and it didn't turn into anything, it just reduced in swelling and pretty much disappeared. It seriously is magic and so un-popular I have no idea why! This also seemed to improve the texture of my skin, any lumps and bumps that are under my skin that I always seem to have and can never rid of them are definitely on there way out after consistently using this. Definitely will be a product ALWAYS kept in my skincare regime, 10/10. I can't imagine my skincare routine without this product.... I feel like it helps smooth out my skins texture, assists with keeping my acne at bay, and it just feels so darn good to massage into my skin! I use it as a serum and i think it is amazing!